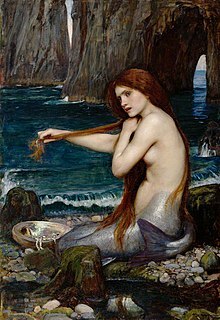 A marmaid is a leegendar aquatic craiture wi the heid an upper bouk o a female human an the tail o a fish. Marmaids appear in the fowklair o mony culturs warldwide, includin the Near East, Europe, Africae an Asie. This page wis last eeditit on 5 Mey 2017, at 04:07.